Can an Evolutionist become a Creationist? I thought I would share a little bit of my personal testimony first and then we will start looking at a few things here about the Creation and about God's Word, which is true. If we are going to believe the Bible then we are going to believe in the Creation, because that is what the Bible teaches — "In the beginning God created..." It doesn't say "in the beginning God evolved." I was raised in a church, but was not a Christian. I went to Bucknell University and majored in music and biology, and while there took a course in Evolution. I became instantly a convinced Old Earth Evolutionist. Next, I went on to Dental school. When I got out of Dental School I was an Agnostic. That means I just didn't know if there was a God or not. I wasn't an Atheist, I was Agnostic. I was looking into Zen Buddhism, which in the 60's at the height of the Vietnam War days that was popular then and still is in some circles. So, I was an Evolutionist, Agnostic, Zen Buddhist, Evolutionist raised in the Church. It was a very good church. It was an Independent Baptist Church which are very conservative. Anyway, I served as a dentist in the United States Air Force, and during that time I came to know the Lord Jesus as my Savior as a result of my wife Jenna Dee. I met her one day for I had prayed, "Lord, show me the girl I am going to marry, or you are going to see the wildest Air Force officer you have ever seen." I was thinking, "I don't know if anybody heard that." But, that was the day I met my wife, so I decided maybe God really does exist. Therefore, I came to know the Lord Jesus as my Savior. I then instantly went from being an Agnostic, Zen Buddhist, Evolutionist, to being a Theistic Evolutionist. Now, I still had my Big Bang and billions of years, but now I also had God. So, I was a Christian Evolutionist, which is what most people in the church are today. I then went into a private dental practice at the Manned Spacecraft Center down there in Houston and ultimately got offered a job on the faculty at Baylor Dental College. I gave my first lecture in 1971 on the evolution of the tooth. I talked about how fish scales moved into the mouth and became teeth. I can't believe that I believed that, but I did. They are still teaching our kids that in the universities. They don't have evidence for their long-term millions of years, so they have to make it up. That is why I wrote the book The Evolution of a Creationist, it is the evidences that convinced me. Anyway, two students challenged me after that lecture if I would be willing to investigate Creation Science. So, I was reading my Bible and they asked me to study the assumptions behind Evolution, which I was never taught. Your kids and grandkids are still not taught the assumptions, the guesses, behind Evolution. 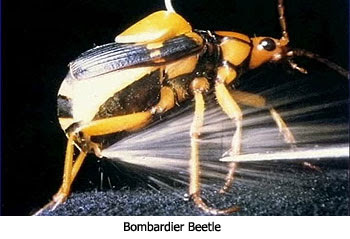 I was looking at animals as a Biology major, and the first one I looked at was a little animal called the bombardier beetle. It shoots fiery hot gases out of twin tail tubes. We have that on our first Incredible Creatures videos. I began to realize, these animals need all of their parts. You can't have a partially evolving anything. It either works or it doesn't work, but I had never been taught that. I resigned my professorship in 1982 and went to Dallas Seminary and majored in Systematic Theology. 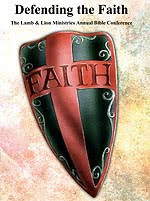 I wrote my thesis on the New Age Movement, which by the way much of that is also on my website at biblicaldiscipleship.org. Everything is downloadable free of charge. You are welcome to look at that. Since 1986, my family and I have been on the road preaching. I was commissioned as a missionary to the United States, so that is what we do. We talk about how you can have a relationship with the God of the Bible through His crucified and resurrected only Son, the Lord Jesus Christ. In the next segment on the "Truth of the Creation," Dr. Jobe Martin looks at the false assumptions of Evolution. I am sure you are all aware of the 33 Chillean miners situation? Three were saved and held daily Bible studies and prayers. They wore T shirts with Scripture on. The following grabbed my attention. "...Another report notes that while still trapped in the mine, 19-year-old Jimmy Sanchez had written a letter that was sent up to the surface saying, "There are actually 34 of us, BECAUSE GOD NEVER LEFT US DOWN HERE". That's right, and any moment now we too are 'going up' as God will never leave His Church "down here". Well, no, E.I., I didn't know that about the miners. There were lots of reports about how calm and collected and peaceful they were, even under impending death and clausterphobic conditions. Isn't it amazing how trusting in the Lord brings peace and joy in any situation? Thanks for brightening my day with that! Thank you all so very much for your prayers - I got the call to come in for Orientation yesterday AM & I start next week! That is great DrNoFog! God never lets us down.